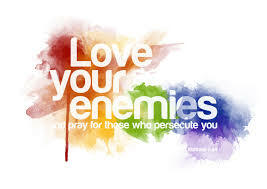 Love your enemies, pray for those who persecute you, do good to those who hate you, bless those who curse you and pray for those who abuse you. We have all heard that, we all know the Bible tells us that. We mostly believe it too, or tell ourselves we do, until we are faced with an actual enemy, until we are persecuted, hated, cursed or abused. That is the precise moment that we realize just how hard this is to do. It is very easy to personalize and internalize persecution by our enemies, who wouldn’t do that? An arm for an arm is what the world tells us to do. It is a dog eat dog world now and the prevailing attitude is “look out for number one”. Therefore we feel somewhat vindicated when we go after our enemies with the same venom with which they persecute us. However if we take a step back and look to scripture for answers we find that God does put people in our path that we wish were anywhere but in our lives. Or if we see them in our path we try to resist the urge to run over them. It isn’t a fluke, or mistake that these people have come into our lives, God is using this situation to conform us into the image of Christ. What’s more, as much as we would love too and as good as it would feel, by resorting to revenge we are no better than those who persecute us. Hard pill to swallow but as Christians we are to look at things with a God view and not a world view. Another thing that hit me like a ton of bricks is that regardless of what this misguided person who is the persecutor has done to you, they are still a child of God. Maybe God put this person in your path to show them what can happen by trusting and believing in God. By loving those who persecute you and praying for them you are touching them with the most powerful force available to you…… Our God. God’s love will ALWAYS conquer hate as the light that is God permeates the darkness. By loving our enemies we let God’s light fill our enemy’s darkness. Bless your enemy, God will bless you. I guarantee it. Am I ever going to learn? We go through life and it is more often than not chaotic, tumultuous, confusing and stressful. We tend to put our faith in our spouses, our friends, our jobs, our money, and any one of a thousand things that lend supposed support. All too often though, even when that support is well meaning (or not so much) it ends up causing more trouble or even confusing us even further. The more we try the harder life seems to get. So then we try the next best thing. We go to church, listen to what we are supposed to do, go home and do it. We trust in ourselves to get the job done. As time goes on and things are not improving we pray and tell God that it just isn’t working. Show me why Lord. We get a little frustrated and a lot desperate and finally we decide that it may be time to turn the things that are causing us such trouble, over to God. God desires that we trust Him above all others, He wants us to put our confidence and trust in only Him. Not some of the time, not most of the time, not when we feel it is something we can’t handle. 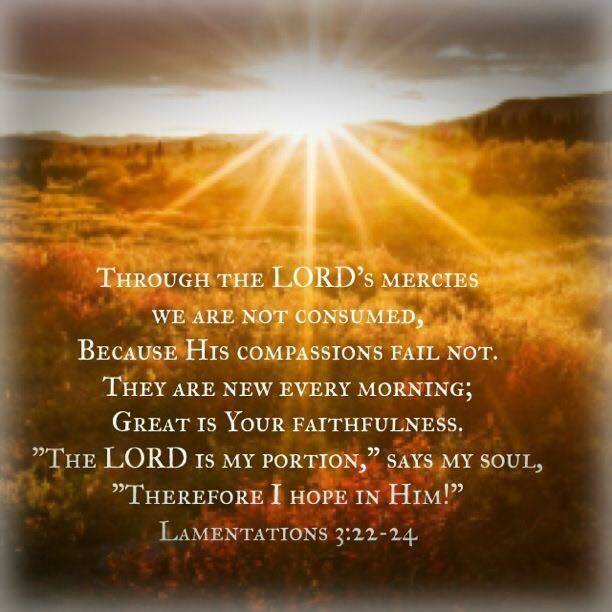 God wants us to lean on Him ALL THE TIME. I realize that life being what it is makes that darn hard. We have been hurt, cheated, manipulated, lied to, and abused. This makes it hard to trust anyone and makes it tempting to fall into the “If I want something done right I have to do it myself” frame of mind. But I believe that to trust yourself that much is to NOT give God the trust He desires. There really isn’t a big secret to trusting God. You make the choice, you are either going to trust God or you are going to continue to live in constant chaos and heartache. Decide that you will take the steps necessary to hear from God and live the life He offers. The Bible gives us wisdom and the ability to start to think the way our Lord thinks. As you read His word you will gain confidence in God and know beyond the shadow of a doubt that He is near and waiting to help. It is time to start living as He is leading us to and not by the way WE feel, think or desire. It is time to trust Him to help us do what He is asking but when we are finished doing that to say, God I am trusting you to finish this. It has endured 233 years. the Bald Eagle was chosen as its national emblem on June 20th, 1782. The Bald Eagle represents freedom and is a symbol of our nation’s authority. The eagle is a symbol of wisdom and bravery. 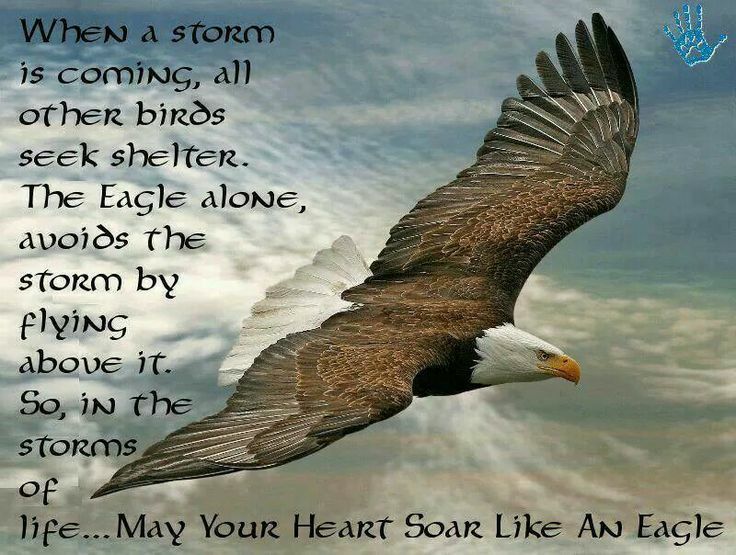 Instead of seeking shelter in a storm an eagle avoids the storm by flying above it. The eagle has served as an inspiration to the people of our nation for over two centuries. Is it any wonder the majestic eagle is mentioned in scripture? Isaiah 40:31 “But those who hope (wait) in the Lord will renew their strength, they will soar on wings like eagles, they will run and not grow weary, they will walk and not be faint. Psalms 103:5 who satisfies your desires with good things so that your youth is renewed like the eagles. The eagle is also mentioned in Ezekiel, II Samuel, Job, Deuteronomy and Jeremiah. We as Christians are born into the family of God. We are designed and given the tools to fly above the storms also. We are intended reign with God, to soar like an eagle and to be triumphant and victorious. We do tend to forget that don’t we? We live in a fallen world and when you live in a fallen world you begin to act, speak and think like the world. Stop feeding on what the world serves up. Tell yourself you are created in God’s image, you are God’s masterpiece and that you are the child of the one living God. You are fearfully and wonderfully made. Soar above life’s storms as you are so equipped. 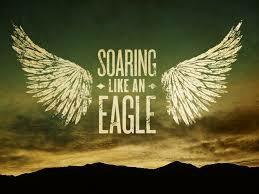 Like eagles we can soar above storms, we can fly and our strength we be renewed. God once reminded His people that He supported them like an eagle carries her babies on her wings. 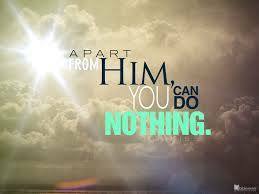 God can and does the same for you and I. You have the power to rise above your storms. Take advantage of the winds of heaven to soar in freedom. God will provide escape and comfort until your storms pass. Remember who you are in God’s sight, be encouraged, strengthened and walk in confidence……in Him. Do You remember the first time you were in love? Hands in your pockets kicking at invisible rocks as you were waiting for the one who was keeping you tongue tied. You spent every last second you could with your new love and spared no expense to see they were happy. You searched out what they liked and didn’t like and adjusted your behavior accordingly. You went where they liked to go even if it wasn’t your favorite hangout. Your relationship received a regular checkup to make sure you were continuing down a path that pleased the one you love. Suddenly someone else’s pleasure became your own. It was like that when you first met Jesus. You couldn’t get enough and hour upon hour was spent devouring the Bible and in prayer so your behavior would please God. Then slowly almost without notice the once brightly flaming relationship starts to flicker and slowly burns dimmer and dimmer until it cannot be seen. Satan uses many trials, temptations and distractions to throw us off track. Money, social media, our relationships, our work, our hobbies. You get the picture. It doesn’t take catastrophic events to lose your focus on God. All it takes is life. I know it is a constant struggle to keep our eyes focused on God. It’s tough not to become distracted by things of this world. Become aware of what interferes with your flame for God and take the necessary measures to keep your candle burning.